Why Has David Ortiz Gotten A Free Pass From The PED Witch Hunt? Let me get this out of the way upfront: I don’t have a moral vendetta against steroids in baseball. I think they should be illegal, but only because of the serious negative health effects. As far as performance enhancement goes, I’m not convinced that they confer a greater benefit than laser eye or Tommy John surgery – perfectly legal procedures that are far less “natural” than juicing up. If I had a Hall of Fame vote, I’d happily cast a ballot for Bonds, Sosa, McGwire, and the rest of the top “Steroid Era” sluggers. That being said, I believe in consistency when it comes to sports arguments. If you are one of the Steroid Truthers who believe that anyone with a smoking-gun-level of circumstantial connection to PED’s should be blacklisted forever, you’ve probably already marked players like Mike Piazza and Jeff Bagwell with a scarlet “S”. If so, I’m here to tell you that you need to add one more name to your list: David Ortiz. Even Ortiz’s most ardent supporters must admit that his career arc has been nothing short of improbable. 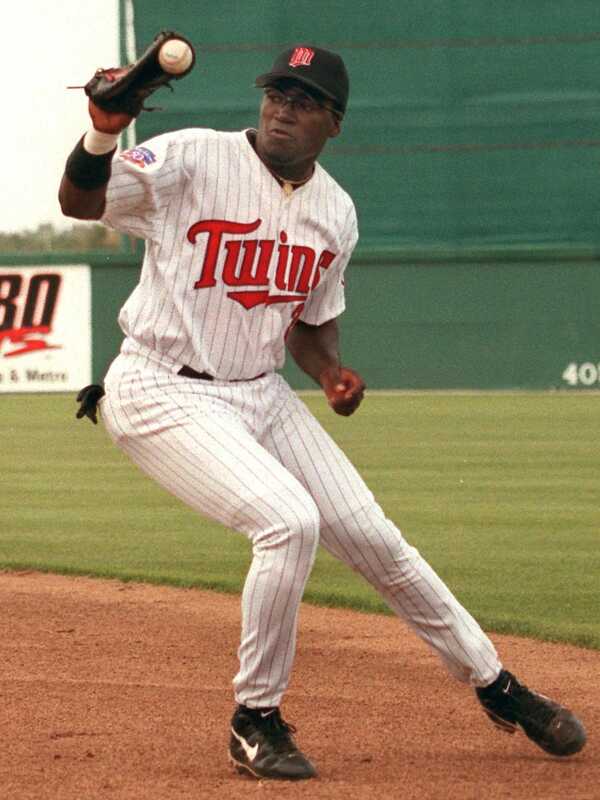 He broke into the majors with Minnesota in 1997 and played sporadically and unspectacularly for parts of the subsequent six seasons. Through 2002, he had accumulated 58 career home runs at a solid but hardly noteworthy rate of one per 25.5 at bats. That winter – shortly after turning 27 – he signed a free agent contract with the Boston Red Sox. Ever since, he’s been one of the best power hitters in baseball history. Not only is Ortiz the most back-of-career-heavy 500-home run hitter of all-time, he’s in some pretty dubious company. The next three names on the list—Palmeiro, Bonds, and Sosa—speak for themselves. Before members of Red Sox Nation get excited by the presence of Ruth—whose only performance-enhancing drugs were beer and hot dogs—they of all fans should know that he didn’t become a full-time position player until age 24. Here, Big Papi looks like even more of an outlier. He and Sosa—probably steroids’ most famous “before and after” cautionary tale—each produced just 3% of their career offensive output through age 26. The gap (on a percentage basis) between them and Bonds is greater than that between Bonds and Jimmie Foxx, the most front-loaded player on this list. When we take a deep dive look at Ortiz’s sustained success into his late 30s (and now 40s), the comparisons continue to raise eyebrows. One stat that does a nice job of measuring a player’s slugging output is isolated power, which is merely slugging percentage minus batting average. Since 1900, there have only been nine instances of a player recording an isolated power of .250 or above at age 38 or later. Darrell Evans, Frank Thomas, and Babe Ruth all did it once. Barry Bonds and Ted Williams did it twice. David Ortiz has already done it twice, and is well on his way to doing it a third time in this his age-40 season. Bonds is the only other player to do it past age 38. Don’t like isolated power? How about at bats per home run: a widely used metric for comparing players’ frequencies for going yard. Here are all the players to put up an AB/HR mark of 15:1 or better since 1900 in their age-38 season or later: Babe Ruth, Ted Williams, Hank Aaron, Rafael Palmeiro, Frank Thomas, Darrell Evans (twice), Barry Bonds (twice), and David Ortiz (twice, going on three times this year). I’m not saying that David Ortiz definitely did steroids for most or all of his time with the Red Sox. What I am saying – or rather, what the data says – is that almost every other player with a remotely comparable career has been convicted of PED use either by hard evidence or by the court of public opinion. Of course, correlation does not guarantee causation. It’s certainly plausible that Ortiz has been the exception that proves the rule of late-rising sluggers’ paths to glory. To believe that, however, we’d have to discount both the data and the circumstantial evidence surrounding Ortiz’s career (otherwise known as our Bayesian priors): the drastic change in his body shape from his rookie season, the uptick in power that came directly after a change of teams, his reported positive PED test in 2003 as part of baseball’s preliminary (and supposedly anonymous) survey. As I mentioned earlier, I’d have no problem voting for players like Bonds or Alex Rodriguez for the Hall of Fame, and the same goes for Ortiz. If, however, you’re the kind of fan who takes a hard line against PED’s and ascribes to the “If it walks like a duck” theory of judging potential culprits, I’d ask you to take a long hard look at Big Papi. The hard and soft evidence are far more damning for him than they were for players like Piazza or Bagwell. Oh, and Ortiz supporters: please don’t fall back on “he never failed a public drug test” as your lone defense. Neither did Bonds or A-Rod. Martin Kleinbard is a fan of the Yankees, Nets, Islanders, and Raiders. He looks forward to telling his grandkids about the last time the Raiders had a winning record. Martin is also co-founder of The Bandwagn, a newsletter/website that allows non-sports diehards the chance to join the sports conversation. He can be reached at martin.kleinbard@gmail.com. A stat created by FanGraphs to estimate a player’s overall offensive contribution (batting and baserunning) to their team, where 0 is the league average. For more details, please visit FanGraphs.